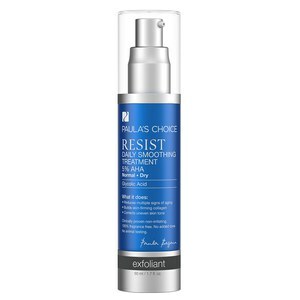 RESIST Super Antioxidant Concentrate Serum utilizes an innovative blend of ingredients that research has proven aging skin needs to look younger and feel its healthy best. Stabilized Vitamin C plus potent antioxidants in a silky base join ingredients that repair damaged cells and rebuild skin's protective barrier so it functions optimally. Reduces inflammation and sun damage. Formula is fragrance and colorant free. At night, smooth a few drops onto skin after cleansing, toning, and exfoliating. May be applied under or over moisturizer. 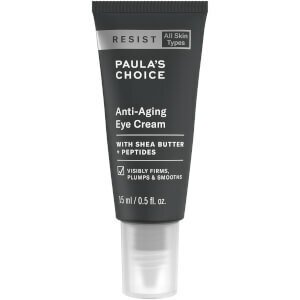 May be worn under makeup and applied around the eyes. May be used twice per day if desired. Cyclopentasiloxane, Dimethicone, Tetrahexyldecyl Ascorbate, Palmitoyl Tripeptide-5, Ceramide 3, Tocotrienols, Tocopherols, Ubiquinone, Thioctic Acid, Tocopheryl Acetate, Magnesium Ascorbyl Phosphate, Ferulic Acid, Caffeic Acid, Beta-Glucan, Superoxide Dismutase, Epigallocatechin Gallate, Ergothioneine, Glutathione, Xanthophyll, Glycine Soja (Soybean) Seed Extract, Glycerin, Arctostaphylos Uva Ursi Leaf Extract, Lupinus Albus Seed Extract, Curcuma Longa (Turmeric) Root Extract, Elaeis Guineensis (Palm) Oil, Phenoxyethanol.